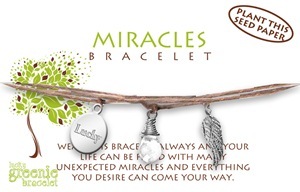 Wear this bracelet always and your life can be filled with many unexpected miracles and everything you desire can come your way. Comes on plantable seed paper. For every four greenies we plant one tree. Be a greenie, change the world.